What are people saying about Pacific Trade Winds and our Costa Rica vacations? Read some testimonials and view videos of our customers’ experience and see if a Pacific Trade Winds vacation is right for you. OPTIONS TO BUILD YOUR PERFECT VACATION! "PTW is AMAZING!! I thank you so much for how you put this trip together! I definitely made the right choice choosing your company. I will definitely use you in the future when i return to CR and I will tell everyone what a great job you did! Thank you!!" "I very rarely use travel services. I always book on my own. So this was new for me. I just asked some questions about Costa Rica on a website and ended up corresponding with pacific trade winds. Everyone was helpful. Some seemed more knowledgeable than others. It is convenient that there is 24/7 coverage but it's also a bit confusing talking to so many different people. Overall i liked the experience and will recommend to friends. Also the price was better than i would have gotten had I booked everything separately on my own. I know, because i compared. I kept waiting for a surprise fee or something but there wasn't one. So i was very impressed. Next time i can be comfortable from day one." "Could not be more happy with you efforts. Was a 1st-tier vacation for us. "Pacific Trade Winds was wonderful in every way. Extremely well-organized, flexible, reliable. I have only the highest compliments of your assistance. All the planning and support you provided made our trip exceptional. I highly recommend booking through Pacific Trade Winds." "Everything went very smoothly. transport was there when we were expecting it. Our pick up at the airport dropped us off at our hotel at 1:30 am. Long day for that poor guy but we tipped him good." "I can't recommend Pacific Trade Winds enough. I've already recommended you to some friends who are planning a trip to Costa Rica in the next few months. You've exceeded my expectations, and that's not easy to do! It all sounded to good to be true, and yet it was... GREAT JOB, GUYS!!!" "We worked for several months with Ivannia and this was a very scussesful relationship. It was good to have the continuity of one customer service agent all that time. She tried her best to problem solve our needs travelling with a large family and with little children. On 2 occasions in spite of her efforts the hotels did not supply the beds for the children that we had requested. Fortunately we were able to reach solutions. "From the very begining the communication was very smooth and you were super responsive. There was a little problem during the stay at Baldi Hot Springs. You reacted in a very professional way so that was really great." "Over all this trip exceeded our expectations. All the drivers were on time and friendly and helpful. The hotels were better than expected. The guides were all knowledgeable and helpful. The people of Costa Rica are exceptionally warm and friendly. I have recommended your company to many people since our return.,"
"I twas totally impressed with the service from planning (Daniel was fantastic!) to the information exchanges, and the logistics. Everything was exactly as planned, on time, and no issues. I would use PTW again, no question, and would recommend very highly to anyone heading down there. I was very pleased!" "Overall you guys are tops, and I have already recommended you to at least 5 couples/families who have utilized your services to plan their trip. (By the way, it would have been nice had these recommendations been acknowledged by PTW in some way, as I'm almost positive each of the couples told you who they got your name from.) Only comments besides that are: 1) the vouchers seem not to matter to the drivers--they never asked and sort of shrugged when I offered them--and even a couple of the tours didn't request them. All the hotels did. 2) I had mentioned to you earlier that this time (as opposed to 2015) I ended up dealing with so many different people it became somewhat confusing in terms of who to communicate with about what. You did explain to me your policies and I understood perfectly. It just made it a little more complicated from my standpoint. 3) I frankly don't know how to rate the Value Question, as I'm unsure how PTW is compensated--whether you add a surcharge over and above the regular prices, or are paid a commission by the hotels/tour providers. But, regardless, you folks are wonderful, and I will continue to recommend you to the many people who hear us raving about our CR experiences. Who knows...we may be back for a third trip!" "You were especially helpful when we missed our connection in Houston and had to make changes because we arrived 2 days late." "Very happy with my vacation. Would use you guys again next time I go to Costa Rica." "I cannot say enough amazing things about Pacific Trade Winds. They helped us arrange based on our interests. Everything that they arranged for us was perfect for what we wanted. We loved the lodging and our excursions. PTW helped us with our trip so much, they took all of the guess work out of it for us. Truly I did not even know that a company like this even existed. I would not hesitate to recommend your company to anyone that is going to visit Costa Rica and I would definitely use this company for any future travel to CR. They took care of everything for us so that we could just enjoy. The communication was always superb and they were always so quick to respond to any questions. Thank you so much for your help in planning and taking care of everything for us before and during our trip." "Amy was wonderful. Always answered my questions immediately. When she was unavailable, other staff were equally as helpful." "Pacific Trade Winds is good as long as you research and decide which hotels, tours and transportation you are going to book, and then give them the information. I didn't necessarily find them helpful for suggestions, where to stay or recommendations. The ease of booking was good (and we changed things a few times). Coordination and logistics for all the services (transportation, hotels and tours) was excellent and the vouchers worked out fine. No glitches except for a few, however we did some advance calling to the tour companies to make sure we had all details confirmed. It is hard to know if there was value, as it was booked as one large package, and I haven't booked in Costa Rica before, so I really don't know if the pricing was good or how to compare. But it seemed like a good value for 3 people. I think the only suggestion would be more detailed information on tour vouchers on where they will pick you up and pick up on the other end. Especially the boat transfer at Lake Arenal. Thank you for everything, we had a great time and we appreciate your assistance." "Everything was wonderful and if any problems it was resolved quickly. Customer service was outstanding and the adventures were wonderful with such a large group of senior folks." "Pacific Trade Winds worked diligently to provide everyone with a great experience. The coordination of transportation, lodging, and activities scheduled was exceptional. The opportunity to visit a variety of environments and participate in activities I would not normally do made my trip great. Costa Rica is a beautiful country. I hope to return soon." "Wouldn’t do a trip without you! Thank you!" "I love Costa Rica and her people." "You guys did a great job! Thank you so much for making this experience great! This was our first time traveling out of the country and pacific trade winds made it the best vacation ever! Thank you so much for all your help! I have already and will Continue to recommend you guys to anyone and everyone we know!" "My agent couldn’t have been better!" "The Shana, which was the most expensive hotel, unfortunately did detract a bit from our overall experience. However, you mostly did an outstanding job, including changing a couple of things as we went along. We especially liked the transport from Arenal to Hermosa which included not only a stop in Palo Verde with an outstanding guide, but also a stop at an organic farm for lunch!" "We had an amazing trip! Thank you so much for organizing it for us. We didn't have a single issue. All of our drivers were early or on time, and they were all very professional. The hotels we stayed at were also incredible. The view from our room at Issimo was stunning; the nicest we have ever experienced! Our entire trip was magic. We would not have been able to organize such a smooth trip on our own. We would definitely recommend Pacific Trade Winds services to others who are visiting Costa Rica!" "We had miscommunication regarding one tour. We thought we were going kayaking and we ended up going on a float trip. We dealt with it." "We were very happy with your service. Excursions and transfers were well planned and executed. It was relaxing to know that these logistics were taken care of so well. The accomodations were very nice." "I just really have no idea how much I paid for each item. It would have been good to outline that out." "This trip was planned for 2018 but due to a family emergency we had to postpone coming until this year. We really appreciated all your efforts to accommodate us and change hotels to suit our needs. WE liked receiving all the detailed information but it would have been helpful to receive some maps and also a wildlife guide ( which was given to other clients who booked with you) prior to the trip. I understand that you are no longer sending out guides, however as requested one is being sent to our home address. Overall we were pleased with your services, especially arranging transfers between locations. Gracias!" "Could have achieved better rates through Trip Advisor"
"I would definitely recommend Pacific Tradewinds to anyone traveling to Costa Rica. Everything was so easy, from the planning process, to making payments, and especially when we were finally on our vacation which was exactly what I wanted. When traveling with kids, I don't want any added stress and I can say that all our expectations were met and exceeded! The cost of our vacation was what we expected to pay for 5 people traveling abroad, even if planning it ourselves. The vouchers were kind of inconvenient to print off and carry around, especially since none of the drivers, guides, or hotels really needed/wanted them. We really had the perfect mix of rainforest and beach experiences, along with plenty of time to relax. I can't wait to go back to Costa Rica and explore more!" "Some of your dates are incorrect. For example: our flight home was on January 31st. I have already highly recommended your company to two of our friends. Thank-you for a truly magical vacation. Matt did a great job putting our tours and resorts together for us. Other than the catamaran, there is not a minute I would change. It was great to have a holiday where our only job was to participate and enjoy." "I would recommend putting a bit more description on the vouchers. We found them a bit confusing until we learned how to read them." "PTW is great. The staff were so helpful and accommodating, they took care of everything. I would recommend them to anyone going to Costa Rica. PTW made my trip stress free, all I had to do was relax and enjoy." "The last is an 8 only because one of the tours and a transfer were not that great. But planning through PTW was really great in terms of communication and customizing. Thanks." "My friend Orienne Bennett made the arrangements with your company, but I would like to thank you for putting together such a wonderful vacation. It was definitely beyond my expectations!! Pura Vida!!" "Like your service, had a good time no hiccups on your side,will use your service if back your way"
"We appreciate that your staff answered our questions promptly. They provided a central location in San Jose upon our request and they sent the vouchers early because we began our travels early. In sum, a wonderful vacation and great service from Pacific Trade Winds." "great service and care from you guys"
"Well done would use your services again and recommend it to others." "Great service. I would definitely suggested to my friends (actually I am already doing that!). Timely and professional service. One of the best vacation I had (so far)." "You guys all are the best! Prompt service, answered my MANY questions quickly and kindly helped in every way. It was so nice to not have to schedule everything myself and worry about confirming. It was a perfect vacation! THANK YOU!" "I was very impressed and pleased with your helpfulness and timely responses. I certainly would recommend you to anyone traveling to Costa Rica." "PTW did an excellent job in helping us to set up the vacation and include all of the things that we wanted to do. You made it very easy and the cost was amazing ! We have been recommending your services to everyone! I only wish that you handled more than just coaster Rican trips! As a result of your services we had a wonderful, memorable vacation! Thank you very much!" "Thank you, thank you, thank you for all you did to help make my wife and I's honeymoon so memorable. You all are the best!" "Everything was organized perfectly. The locations, transportation and tours were great. Wouldn't use anyone else for another trip to Costa Rica." "We couldn't have asked for better service. The quality of all of our experiences was very high. We will definitely recommend Pacific Trade Winds to our friends." "We were very happy with everything about our trip and would not hesitate to recommend you to others." "Was a great easy trip. No stress!!! Great recommendations for us! thank you!" "Yes,my entire trip was perfect.Thank you for your assistance and planning a beautiful ,memorable vacation." "We were extremely happy with your services and will be recommending you to friends and family. I always received a timely response to my emails and questions. The transportation to all of our destinations was always reliable. We absolutely loved our stay in Dominical. The only thing we had a little difficulty was moving around the area in the evening. The hotel is amazing but a little far away from everything so we had to arrange taxis which were about $12 each way. We enjoyed all of our tours. We were disappointed with Hotel Villa Florencia, we felt a little isolated/trapped when we were staying there since it is so far from everything. Seeing the rat in the kitchen area made it hard for us to want to eat there. Nevertheless, we had an incredible trip and we were so thrilled with how easy PTW made the planning process. You all do an excellent job. Thank you. Pura Vida!" "great job - Pacific Trade. I've already given your name to a co-worker who might be interested in 2020." "Can't say enough about how wonderful this tour was and the incredible service from all of your staff. Our family group of 7 people had an incredible time together in beautiful locations with NO hassles or problems. "The only reason the overall value was a 9 instead of a 10 was because of the difference in the rooms at the Arenal Springs Resort"
"Thankyou so much for providing us with a wonderful experience. Your company was great"
"I would, and already have, recommended your company to several people at work"
"I wish I had spoken to someone on the phone about the airport transfer instead of sifting through emails, and maybe that would have made that part better. Overall, however, our trip was amazing and we had a fantastic time! Thank you for everything!" "This is my second trip to Costa Rica using PTW as our agent. As in my first trip, everything was FLAWLESS! We couldn't be happier and will definitely recommend PTW to any friends considering a trip to Costa Rica. Thank you so much!" "PTW did a great job and I would recommend your services to friends. One mistake that I made was booking too many things. One less would have been better but that's my fault." "We really enjoyed our stay in Costa Rica. Everything went smoothly as planned. I thought that the amount of time we had in each location, and the combination of tours and free time was appropriate. My only comment is that on the tour vouchers, we had a start time, but never an end time or details of the tour. Maybe this is information that you didn't have either, but it could have been helpful when we were planning our days. I am looking forward to visiting other locations in Costa Rica in the future!" "Thank you very much for helping with the booking: choosing the location and the hotel for my vacation! Conchal Hotel is a beautiful, exotic and quite place. I really enjoyed staying there - would definitely like to stay there again. The white sand beach was about 15- 20 minutes walking distance. Enjoyed the beach so much also. Overall was a great vacation! Thank you very much to all of you!" "You guys are awesome and I would highly recommend your services!!! Thank you so much!!" "PTW did a great job! Thank you!" "I would recommend your service. I loved having everything planned before we got there! Getting our friends on the same schedule only 3 weeks before our trip was amazing!!!" "Matt Halliday and his co workers were awesome very professional and precise. It was a pleasure!" "Loved your service and the flexibility of individualizing our own tour. I have already recommended your agency to several friends!" "We will visit Costa Rica again, and will use your expertise." "I have been impressed by your service, especially your speed of response. You did an excellent job of answering our brief and customizing our vacation. My only suggestion would be that as we had not been to Costa Rica before perhaps you could have questioned our brief. An example would be the traffic in San Jose and how it might affect tours, I'm not sure we would have gone on The Le Paz trip if we had known the time spent in the bus. At Manual Antonia, would we have rather been on the beach or up in the town? I realise this is quite a lot to ask for and advising customers can be dangerous! Overall I am very pleased that we used your service and we would certainly recommend you. We had a great trip and you are lucky to live in Costa rica, Pure Vida"
"Thank you. I hope I can go to Costa Rica again one day"
"You did an amazing job! You listened to what I wanted and planned the trip to accommodate those wishes! You did a nice job of picking great hotels and locations for each part of our trip, and also did a nice job with giving us some rest before we were on to our next adventure (for example, a day at Shana before we did the Park tour). I would highly recommend your agency to anyone wanting to travel in Costa Rica!" "Overall as this was my first international trip by myself, I appreciated the help of Pacific Trade Winds staff so much! It was great overall and I had an amazing time! I hope to visit Costa Rica again in the very near future!" "Some miscommunication regarding accommodations at one of the hotels." "I had requested a late change to the hotel after we already started our vacation. I think we had a minor communication lapse since I did not hear back. Totally loved our visit, thank you!" "Antonio and the entire crew was amazing. Helpful, prompt and friendly." "Great time again - very helpful staff- have recommended PTW many times"
"Excellent services. Tank à lot"
"You never really know about a company until you try them but all the Reviews were top notch. We were not surprised by anything. The communication was clear with lots of emails. Highly Recommend the services of Pacific Trade Winds!!!!" "Will recommend your company to other travelers"
"I have and will continue to recommend PTW to others. Thank you for a great vacation!" "Everything was very well planned out. I would recommend this service for anyone that is going to the country for the first time." "You can be proud of your company and its staff. Outstanding service and friendly, knowledgeable staff." "All communications very helpful and informative. A shout out to Zaira who helped us get our pictures from the zip Line photographer. (disc was empty-oh no)!! Thank you to all who made our "first visit" to Costa Rica so amazing and unforgettable." "Thank you! You made our first %visit to Costa Rica lovely and unforgettable. Also, Zaira was very prompt and helpful when we called after we got home and realized the disc of the Zip Line was blank. She directed us to the photographer at 100 % Aventura zip line company and we now have our pictures!! Yay!" "Above average trip and services, thank you." "This was a great trip and PTW did a great job putting this together. Not all of our accommodations requested or required the vouchers. We found that it was a bit cheaper to travel into La Fortuna and Quepos or Manuel Antonio that to dine for lunch and dinner at the resorts." "PTW is the best. made this bucket list trip easy to navigate and provided great service, options and experiences. Thanks so much !!!!" "I would certainly recommend pacific trade winds"
"So so happy with your services! You are an excellent company due to several factors: you always reply within a short period of time, you always communicate solutions to your clients, you are always nice and welcoming. I am SO happy that we chose you to handle our vacations and will for sure recommend you!" "Jennifer was excellent to work with! The whole experience was good. I have recommend this company to many friends." "The trip was so well organised, communicated and I didn’t have a single problem along the way. Would highly recommend the company to friends and family. All comments were only minor and didn’t at all effect my enjoyment of my trip. Hopefully the comments are helpful"
"I do want to say that the travel agent that assisted, her name was Veronica and I felt very confident with her lining up my trip, she was very easy to talk to & did a wonderful job assisted me with the trip"
"We did not expect that bascially the total payment of our vacation would be basically charged to our credit card with in a two week period. I understand we booked the trip late, but still that was alot at once. All your drivers were very prompt and on time for ALL of our pick-ups which was nice. We had great communciation with our agent and she always responded so promptly. Yes, we would recommend your company to anyone traveling to Costa Rica." "Very informative. One of the best things Jennifer did was help me understand the time and distances travel would take up between excursions. While in CR we called the office with a wuestion and it was answered promptly and accurately"
"Thank you all for helping us plan such an amazing trip! I will definitely be recommending you to friends and family in the future! I am so glad I decided to trust you all with the planning and logistics of our trip, we were truly able to relax as all the details were already taken care of for us!" "I would recommend friend to use this tour company. However, best tour we had was called “Sloth Tour” by call”www.callidryastours.com. (We booked at Magic Mountain Hotel due to we are no activity 12/28/2018 afternoon. But this tour was best tour we had. We saw a lot s Sloth and guide brought this camera and let us take picture from his camera. There was a restaurant this company owns and they set up bird feeding place.So we saw a lots of king of beautiful birds. (However, I don’t disagree what they do but guests were happy )"
"Thank you sincerely for an amazing experience. I will book again and I look forward to working with you on future travel." "Awesome job! Thank you so much for all your help. It is a beautiful country, with wonderful people who care about their county and providing superior service. We will definitely recommend Pacific Trade Winds and a trip to Costa Rica and we will be back to enjoy it again!" "We loved planning our vacation with Pacific Trade Winds!! Thank you!!!" "This entire experience was exceptional! I appreciate everything you put together for me! I would highly recommend your team and if I ever return to Costa Rica I will certainly use your services again! Muchas Gracias"
"It was pricey but worth it!" "We were really sad to leave Costa Rica. We had an amazing vacation and can't wait to come back!! Pura Vida!" "I sound like I had some issues and complaints on things with our trip, but I just want to be honest and offer constructive feedback. You were so prompt in replying to all of our emails. You set our vacation and first time experience up in Costa Rica and offered us a "magical" Costa Rican experience ! WE WERE VERY HAPPY WITH PTW AND WOULD CERTAINLY USE YOUR SERVICE AGAIN. We will tell others about your company." "I told my wife this trip wasn't awesome. It wasn't amazing. IT WAS MAGICAL !! BEST TRIP EVER !! Our pictures look like post cards ! Beautiful !" "We had an amazing vacation! Thank you so much for helping us plan our trip"
"I would absolutely recommend you and all of your vendors. Perfection at every turn! I hope to use you again myself." "We had a great holiday....stress free and full of wonderful experiences and surprises. Thanks for your help." "You exceeded our expectations! This was my first trip out of the county and my fiances first trip that wasn't an all inclusive resort. We were blown away by everything! The excursions were phenomenal, the things you did to prepare us were perfect, the places we stayed were amazing! We are both beyond satisfied and will refer you and definitely use you again. Thank you so much for making our vacation perfect!!" "We were amazed by the support we received during the trip. Our needs were addressed as they arose. Communication was perfect. More importantly, though, it was clear that real care had been put into designing an adventure that served as a good introduction to Costa Rica. The moves from hot locations to cooler mountain locations were well planned to make the heat easier to deal with. The choice of tour operators clearly was excellent. Every day we have been saying to other travellers how much we have appreciated the efforts of Ivannia Zuñiga and others at PTW. It is a pity that PTW does not operate in Indonesia also." "Trip was everything we wanted. Antonio did an amazing job. Didn’t have any trouble with payment or vouchers." "Everything ran so smoothly. We will definitely use PTW again!" "I was very pleased with prompt communication. The hotel was the biggest disappointment for the money. Reliable car was extremely helpful. I will recommend your agency to others." "Jennifer was absolutely amazing helping me plan this trip. It was our 20th wedding anniversary and we brought our 3 teenage children. I kept making changes to the itinerary and Jennifer was unbelievably helpful with her recommendations and patience with me in making changes to things to the itinerary. I have already recommended Pacific Trade Winds to 3 families back home who are now thinking about traveling to Costa Rica. Thank you so much for making our anniversary trip perfect!!!" "You all were great with any and all changes or adjustments we asked for. For planning a last minute Christmas vacation, you all made it super easy." "You guys did a great job and made our vacation perfectly pura vida. we had such a great time and saw so many wonderful things that will be memories forever." "You did an incredible job! This vacation was wonderful. (You should note, that I am usually highly critical and complain a lot!) I highly recommend your services! Thank you!" "Your were great. I have already passed on your name to friends who are planning a trip to Costa Rica in the near future. Your weather arrangements were superb - hardly ever a cloud in the sky." "Thank you for good work to help us spend good time on our vacation." "Very good help. Great hotel and town to visit." "I would strongly recommend your services to others and would use you again. We are very satisfied and happy. I would also like to thank Ivannia especially who put up with my questions and concerns over the months. Feel free to contact me for endorsements or to ask for further information. We were very happy with this trip. Everything I said above holds for all four of us. Thank you! We had a lifetime experience!" "Thank you so much for making this successful! We usually plan our own transportation , hotels and tours but simply didn’t have the time to it all ourselves this year. We worked out that using your excellent services was the same price as planning everything ourselves and was much less stressful. We felt that you listened to our requests for being in small groups and lots of time looking for wildlife. We will definitely be recommending your services to everyone who travels to Costa Rica and we will be in contact when we plan our next trip! Thank you all once again and Feliz Año Nuevo! Pura Vida!" "The only thing I would change would be to have some of the transfers done earlier in the day - leaving a place at 9am is better than 12:00 noon, since we would spend less time waiting. Other than that everything was awesome! Thank you so much! I would strongly recommend your services." "We were pleased in every respect. Thank you for the great experience for our entire family." "The company was fantastic and easy to work with. I would highly recommend them. Thank you for an excellent vacation!" "Thanks for the wonderful vacation. We will look you up for any future travel needs. What other countries do you plan vacations for?" "This was such a stress free way to book a trip. I was constantly amazed by the quick responses and attentive service to any request or question I asked. Thank you for such an amazing vacation. I wouldn't hesitate for a moment to recommend your service to anyone looking to travel Costa Rica. The recommendations were all perfect and we thoroughly enjoyed everything." "i enjoyed the trip very much exept for night walk and manual antonio park; it is a beautiful country and your company made it so easy for me; i cant wait to go again; thanks"
"My travel consultant Rebecca Mallet was excellent. She took into account both our needs, guided us well with the activities and worked very hard to try and get me the hotel types I was looking for. She was very organized and disciplined when it came to communication and would respond quickly to all my questions. I have actually already recommended pacific Trade Winds to friends of ours and have asked them to deal with Rebecca. thank you for making our trip fantastic." "The Big Canopy Tour, while having great actual zip lines, was a very difficult climb and took away from the rest of the vacation, as we needed to get massages to help loosen up legs, back, and shoulders." "From the moment I submitted my initial request for vacation information, I was impressed with the communication from PTW. I was kept informed between booking and travel. I was able to email and call and received excellent guidance. I was even notified of an overcharge which was turned into a credit to be used at our hotel which helped immensely. I have already recommended your company to others as you obviously know the area, understand the needs, and book with upstanding businesses (accommodations and tour companies). Thank you for helping me create a memorable holiday vacation with my daughter." "We were leery of using an online travel agency, but you guys were amazing. Super responsive, friendly and patient during the whole process. I would send an email at 5 pm on. Friday and get a response right away. Would definitely use your services again. Top notch." "My only issue was lack of knowledge of celiac on multiple occasions. Also, The Shana Hotel was so expensive for what you got. The prices of food, etc. Not great service. Overall GREAT trip!!!" "I would recommend to anyone. You made my trip easy and fun and we all had a blast. Perfect balance between fun amd relaxation. Thank you ptw!!!" "The vacation was wonderful and everything went according to plan. Any issues were dealt with very quickly. I called PTW twice when transfers were late and the staff quickly contacted and confirmed the slight delays. The prices were high but the quality at the hotels, transfers and activities was excellent." "Not only did you planned a wonderful trip with professional tour operators and transportation, once we were in Costa Rica you responded to our requests for assistance and itinerary changes promptly and followed up. I can't say enough good things about your service." "We had great time, well organized. Thank you very much." "Our family trip to Costa Rica was a blast ! PTW made our trip better by helping us by making last minute arrangements when some of our own plans and hotel reservations ran into problems. Accommodating a family of five at last minute during the holiday season is not trivial. Thanks for everything. Pure Vida!" "Although I know I mentioned several critiques, we had a fantastic trip and thoroughly enjoyed visiting Costa Rica. We look forward to going back. I do think that in the rush of planning this trip that there tours that were recommended that might not have been the best match for us. Some of that had to do with the descriptions not being so accurate, and some of it was that we didn't know what we should do for our first trip to Costa Rica. We didn't have a lot of choices in accommodations because we were late in planning, so that was really fine. We enjoyed everything we did, even when it wasn't exactly what we expected. It was all a great experience, and we thank you for all you did to help us plan it. When I contacted you in country, your staff was quick to provide us assistance and extremely helpful. I couldn't have asked for more in that regard. Thank you." "You went above and beyond! What a great company and wonderful people. We can only say good things about you. Everything throughout our vacation went smooth and you did an excellent job. We can't thank you enough. We will definitely book with you again. Thank you for making our first stay in Costa Rica wonderful!!!!" "we will come back to CR"
"Outstanding company. Everything promised was delivered. Every transfer and excursion was on-time, professional and as advertised. Would highly recommend to anyone traveling to Costa Rica. The only way to go!" "We could not decide which was our favourite day. All were exceptional. I am very pleased. Money well spent for a worry free vacation. Thank you." "Apart from some minor things, this trip was well organised and I would use the services of PTW again if travelling to Costa Rica!" "One of the best vacations we have had as a family. We were completely satisfied with Pacific Trade Winds and their support. Thanks!" "2nd time we have used your service. It's always a bit nerve-wracking to be on vacation and have to relay on arrangements for transfers, tours, hotel - but in every case your company has been on time with transfer and tours and hotels and tours have been outstanding. Thank you so much!" "Great support and communications. Thanks"
"Everything was easy with transportation included. The only thing I would add is a timeframe for the itinerary. The activities did not have a duration period, to allow planning for afternoon or evening activities and meals." "First time using a group too book it all in advance and you all were A+ awesome and the trip / value was one of our very best. The trip exceeded my expectations.... I will recommend Pacific Trade Winds!!" But overall a great time." "Matt did a great job of listening (reading) request, changes, budget etc and got us the vacation we wanted. Last minute we decided to book the 10 in 1 excursion and even though it was Matt's day off...he answered the phone and was helpful getting us to someone who could book it for us. We will go out to Trip Advisor and give you great reviews. Thanks for the great vacation!!!" "We had an amazing experience for our first time in Costa Rica. We have already recommended your company to people we know. Enrique in particular did an awesome job. He happened to answer the phone once when we had some questions, and not only did he answer our questions, he suggested we call back right before our trip to go through the itinerary and make specific suggestions for non-tour things, such as restaurants, etc. It was great. One additional note, although we did not book the Holiday Inn San Jose-Aurola through your agency, we did select it based on your recommendation. That was the only hotel we were very dissatisfied with. It did not feel clean, it was VERY noisy, from traffic, but also because there was a loud band inside the hotel that played very late on that Tuesday, and the restaurants were not good. I don't know if there are better hotels near there, (where we wanted to stay) but this one was very disappointing. Overall though, our trip was truly fantastic, and your company made it easy to plan on relatively short notice. Thanks so much!" "everything went smoothly. I was not clear on the process of vouchers and subcontracting in the beginning which would be useful to know but otherwise PTW was very good for prompt responses, great communication"
"You guys have been amazing. I would not hesitate to recommend you to anyone and everyone. I don't know when I've ever had customer service like you have provided, from beginning to end. I could give specific examples but this box is tiny. Feel free to contact me if you want any more feedback. THANK YOU!!!" "As I stated already multiple times via emails, you exceeded my expectations. Top notch service. Thank you for helping me celebrate my 60th birthday is such a perfect manner in a fantastic country." "You guys were great! I changed my original schedule with your help. I was able to call the number you gave so my wife and I could go snorkeling together on 12/15 instead of doing nothing at the beach. I would highly recommend you to anyone interested in going to Costa Rica!" "I didn't make any of the actual arrangements (Randy Myers did) but the information I received was great! Thank you! I will certainly recommend you to friends and family!!" "I rarely would spend as much as I did on a vacation package like that but I can honestly say I think this expense was totally worth it." "I chose PTW because you offered best value for mid range of what I wanted and expected great value some luxury best bang for buck I was able to get everything I wanted from costa rica it was fabulous thanks"
"Pacific Trade Winds went above and beyond for our Honeymoon. Will recommend to everyone we know!" "Was simply fantastic, WAY more seamless than I could have ever imagined! Will absolutely use and recommend for all future vacations to Costa Rica." "Superb job guys and gals...I would recommend you to any travellers to Costa Rica; especially first timers like us. Muchos Gracias"
"Very communicable and knowledgable! Did a fantastic job planning every step of our trip!" "Would highly recommend your services to anyone"
"Very helpful and knowledgeable! Definitely will use again and will recommend to friends!" "Fantastic company, will 100% recommend. Great to work with, always available, gave us a perfect vacation!" "Overall, we had a beautiful, memorable trip! Your assistance was superb at all times! Highly recommend!" "I really appreciate the quick responses any time I had a question." "Booking with you was so easy and the itinerary put together was fantastic. All aspects of our holiday were outstanding and the payment schedule was great and easy to track. Only small comment is on the white water rafting tour, we were told a different pick up time to the guide, meaning he has been waiting 15 mins to pick us up, but he was very relaxed about it so it didn't really cause any problem. Thank you so much- Pura Vida!" "Amy did a great job putting this together with only a 3 day notice. All of the events were quality venders and all transfers were on time or early. Thanks for a great vacation." "We feel so lucky we went with you. It was amazing all around and we had such a great time!! We had a slight hiccup on paying initially but it was resolved quickly. We loved it all and she. We come back we will book through you again! Thanks so much for everything!!!" "The trip was amazing and the organization was perfect." "100% satisfied thank you so much everything it was awesome I definitely would recommend you guys to everyone"
"Cant fault your service and communication. I would recommend you to anyone. Value was good and everything ran like clock work." "Hugo was the best he help start the planning and was very knowledgeable I told him what I wanted he planned from beginning to end and the staff members were very helpful from all department"
"We would definitely use PTW again and recommend you to our friends." "thank you and will be sure to recommend you to friends and family in the future!" "Than you so much! I definitely will recommend your services." "I’ve already recommended your services to several friends. You blew us away! Thanks forone if the best vacations we’ve ever had. We are already talking about returning to see the other areas of CostaRica!" "You guys were great! In all the categories. I have never had a trip go so smoothly, and the logistics to be so well prepared." "Had a great time. Amazing trip. Thank you"
"The communication was great! I love how accommodating the staff was when we had some travel issues at the beginning of the trip. I like the voucher system although a few providers said they didn't need the vouchers. I think the whole planning and payment process is a good system and we had a great time." "i appreciated your help. this was super easy trip to organize with your help. everything was smooth, on time, accommodations were great. loved costa rica." "I would 10/10 recommend using pacific trade winds when planning your future vacation. There were no hiccups & everything ran smoothly. I was blown away at how well they planned our trip. Anytime i.had questions or needed to change dates, they were very prompt with their responses!" "We had a great time. The only mistake was the start time of one of our tours. We would have been waiting 2 hours for the driver to pick us up if we hadn’t questioned it. Evening frog tour pickup was 17:30 not 15:30. Confusion about Hanging Bridges pickup time. Our voucher said 8:15, but the office said 7:45 was the correct time when they were checking our times after the frog tour mixup. Everything else was smooth." "This is our third trip with pacific trade winds and you are awesome. Juan was extremely helpful, explained things, etc. I have raved about pacific trade winds to anyone thinking about Costa Rica because you are the best." "Loved the trip and would do it again with you although there would be a few minor changes the next time around. Prefer the private transport and guides over those that were shared." "The only hiccup was the misunderstanding of the transportation fees. My plan was to ensure that if someone dropped out of the trip it would not affect the cost of other travelers. When additional transfers were required it added to the each traveler's cost to make up for other transfers. There was some confusion as to how to fix that, but it was taken care of with only a small amount of money per traveler." "Appreciated your help except for the choice of hotel in Manuel Antonio, the bungalows at La Posada. It should never be recommended to a client. It is totally run down. You need to go by and look at it." "Best Vacation Ever! Ivianna planned the perfect getaway for us!" "Very quick to respond when I had any concerns, very helpful throughout the process. Payment plan was great, working with you guys made the vacation very stress free and easy to relax." "The agency was top notch. Really responsive and good communication. Excellent choices for activities. I have been recommend agency to others already. Would definitely use again." "I would highly recommend PTW for this service. We received great service preparing our itinerary. The staff were patient and informative with 3 or 4 rounds of changes to help me save money and design an experience personalized to me and my daughter. During our time in Costa Rica we only contacted them once (because everything worked so well we didn't need more) and on this one occasion they responded so quickly by email that I didn't need to call in. The service providers (lodging and tours) were wonderful which makes me think that PTW do a great job selecting their service providers. Just a great experience! We made lifelong memories and they were all positive!! That was our goal." "We still have not received the itemized receipt that was requested several times for our change in itinerary (due to weather/road conditions, made by the team at Pacific Trade Winds) from Mal Pais to Manuel Antonio." "Great service from PTW, and again a huge thank you for getting the phone I left at Los Lagos delivered to me in San Jose. I was very happy about this. I'll definitely recommend PTW to anyone looking for a great personalised trip to CR"
"So happy with the service and all the recommendations. Our trip went very smoothly. No hiccups. But felt if there were we could contact PTW for assistance. Thanks for everything." "All tours that were booked were amazing and I couldn't have planned a better trip! I didn't have to worry about anything the whole trip because eveything was planned perfectly! Wonderful job!" "I am very happy with service from PTW"
"You guys were great. Maybe try to get to know your guests a bit better and suggest places where the masses don't all stay at. Otherwise, you guys were excellent and I'd use you again." "The hotels were fine. The Hacienda Bark was in a beautiful spot but we would have preferred a hotel closer to Dominical where we could easily visit restaurants and markets. Taxi service was very poor in the evening after dark and we were never given an option to rent a car and when we asked it was too late with the holiday. Every request we made: yoga classes, surfing lessons, a night in San Jose or a car rental were received with lukewarm response and we figured out pretty quickly the answer was going to be no. That is exactly why we changed the bird tour to zip lining ourselves because we knew you would not try to accommodate us. The woman I emailed about the night in San Jose told me in her opinion there was absolutely nothing to see there, I thought this was our holiday and it was our opinion the mattered not hers. We loved Costa Rica, it is a very beautiful country, with lovely warm people." "It was a bit expensive, but hassle free." "We loved our trip to Costa Rica and would go back in a heartbeat. All of our transfers and tours were excellent. Had we had a better experience or been better informed about the location of our hotel in Samara, it would have been outstanding all around. We are well seasoned travelers and I spent considerable time in East Africa so I am used to long walks in dry places but we were not well informed about the actual location of our lodging and distance to the town and beach. Basically, once we walked into town, we were there to stay because it did not make sense to shuttle back and forth via taxi multiple times in the day and the road was not safe to walk on at night. So we could have planned accordingly by either renting a car or maybe selecting a place that had a full service restaurant. I would be happy to provide additional feedback." "thank you so much the details were taken care of great and had no problems at all, all accommodations were great"
"Again, wher's the 11 rating?? I could never have arranged a trip like this by myself. You guys have been fanstastic and I had such an amazing time in Costa Rica that I know I will be back and I know when I come back, I will be calling you! I have shared your details with all my friends and told them that if you want to really experience Costa Rica, PTW is the way to do that. Travelling by yourself can be scary but I was able to completely relax knowing that I could call on you guys for anything - and I didn't even need to. Thank you so much from the bottom of my heart." "We have been highly recommending Pacific Trade Winds to our friends and colleagues should they ever want to come and visit Costa Rica. Enrique is an excellent asset to the team. Very friendly and a great resource to our visit. We will still call you guys the next time we visit." "This was a great vacation and we have you to thank for that. Great planning & great experiences. Thank you to all the staff who helped to make this happen. Loved it and hope to return!" "We LOVED the trip you planned!!! We have never had anyone plan a trip for us before and we loved everything we did. Our overall experience was terrific. It was easy to communicate with your staff and they always replied promptly. You understood our need exactly and customized the vacation perfectly. All of the pickups/ transfers were exactly on time. The overall value was outstanding. We have already told other people about Pacific Trade Winds and will use your service again in the future. Thank you!" "I will be booking with you for my next Costa Rica trip. Thank you!" "Service was very good but 12hrs notice for payment can be short when we are booking from a different timezone like Europe. 24hrs would be good. Also I could not print the vouchers as I was already on the go before reaching CR, luckily I did not need them as I could show on my phone, but be aware that this is not always possible to print beforehand so requesting it was a bit of a stress. Otherwise all good and very efficient exchanges /bookings." "You all were very easy to work with and everything turned out perfectly! I will be recommending you to anyone else I know visiting Costa Rica!" "We loved our trip! Everything ran like clockwork. Thank you." "I would (and will!) recommend you to anyone visiting Costa Rica - everything was fantastic and exceeded our expectations. Our vacation was so much more relaxing with all of the details taken care of. Pura vida!" "I would recommend Pacific Trade Winds to anyone I know visiting Costa Rica. You exceeded our expectations, and we cannot thank you enough for the great experience we had!" "We are so happy we booked our vacation through Pacific Trade Winds - it could not have gone better. We had an amazing time thanks to PTW being accommodating and understanding of how we wanted to spend our time in Costa Rica. Thank you for an amazing trip!" "Thank you and I will definitely use you again and refer you to my friends and family. It was really very easy. Working with your team. Communication is very efficient. Maybe next time better ratings on the hotel? CARIBLUE SHOULD NOT be in 3 stars." "I want to thank Pacific Trade Winds Staff for the absolutely wonderful planning and assistance for our recent trip. The advice and arrangements were better than I could have expected. Everything was spot on correct. All the transportation and drivers were always on time, very helpful, safe drivers, and wonderful people in general! This was our first trip to Costa Rica but I pray that we will be back many times. I have not met a single person I didn't like in Costa Rica. Everyone I met were very genuinely friendly, and helpful. Way of Costa Rican life was wonderful. The food was tasty, and very healthy. The landscape varying from place to place, but always kept clean and beautiful. Thank You much for going above and beyond what I expected! Pura Vida!" "As we did not have full use of our phones and were not tracking our emails on vacation some other notification of early pickup on our last day would have been nice. Overall very nice trip we enjoyed ourselves." "Great service, I will recommend you to friends,one area of improvement would be get offer green season online discounts from hotels. I found better prices online when I did my own search." "Thanks for helping to make this a stress free, smooth vacation with great options for hotels and activities. Is it possible to get an itemized receipt for the hotels , tours and transportation ?" "Not happy with the over all quilaty of the Hotel Tamarindo Diria, from the noise to the to internet, the black out of no electrity for 25 minutes. I think the ideal compasation crditnon the room or a free meal!" "Second time we've used you folks, and will probably use again. The first representative we had contact with did not seem as experienced as subsequent ones. But it all worked out." "All Natalia was amazing for us"
"It was a pleasure to work with your company. It made our trip easy and more enjoyable. I would strongly recommend your services to friends and family. Thank you so much for all your help." "Great overall and very helpful when we made a change. Thank you"
"It was Ok for two women visiting Costa Rica for first time. Expected quality of last two hotels to be the same as first one. Club Del Mar was nice but location and beach access was extremely disappointing, thats why we left for one day. Understand couldnt get refund but Stephanie helped out with recommending hotel in Manuel Antonio and cancelling Kayak tour. Awaiting refund check. Overall amazing experience. My daughter was really upset with Jaco but we fixed it"
"I was very happy with PTW. I'm thankful that I used a service rather than trying to piece all of that together by myself. Also glad that we did NOT rent a car. We were pleased that everything went smoothly. The only thing was that all of our reservations were made in my old email name rather than our actual names which caused a little confusion. I will recommend PTW to any friends that are traveling to Costa Rica!" "We were really happy with our vacation and your services! It was hard to choose between the different options. We have already recommended Pacific Tradewinds to several people who are thinking of visiting Costa Rica and are looking forward to returning ourselves. A heads up about how the strike might have impacted our tour would have been nice, especially since there had been problems on 32 for over two weeks, and had been problems in the Limon bridges and"
"excellent support, before and most importantly during our trip. all vendors arrived on time and everything went smoothly according to the plan. THANK YOU VERY MUCH FOR A GREAT VACATION!!!" "Thank you!! It was such a smooth and seamless process! We will definitely book through you guys again!!" "Very very good. You made it affordable and chose good tour operators (again, especially the cave adventure). You were also very astute in going through different tour scenarios -- we choose Plan D after some back and forth as we reviewed the alternatives you sent as we honed in on it." "I have never even considered using an agency before but my experience with Pacific Trade Winds was fantastic. I sent them a list of the things I wanted to do and they worked with me to refine an itinerary that was absolutely perfect. They send me an itemised price list so I could compare prices myself online and I couldn't believe how good value PTW are! Every transfer arrived early to pick us up, every hotel was perfect and they were always on the phone or available on email if I had any questions. When we go back to Costa Rica I will get back in touch and will definitely recommend your services! Thank you!" "Only remotely negative comment would be related to system of payments ie.would have liked to have been able to use American Express to pay directly as opposed to via Paypal but this is all. Highly recommend using PTW for ANY trip you go on as they are simply professional, wonderful, prompt, expert at what they do and quite well regarded by people we met at both locations also. We will be using their services again and we will be returning to Costa Rica someday soon." "PTW and Ivannia especially have been so helpful. We had a seamless experience which is exactly what we wanted, to not think about anything from when we land till when we board. Suggestions and scheduling and selection of the tour companies were perfect, we have NO complaints and cannot wait to use PTW again soon. We loved your service, your communication was swift and helpful and made it a very pleasurable trip!" "PTW was absolutely brilliant. All of our queries before the trip were dealt with very promptly. Every aspect of the trip ran like clockwork and we did not have to worry about a thing. We felt in very safe hands. And we absolutely loved Costa Rica. Thank you!" "Outstanding! Thank you an awesome experience. We will definitely recommend PTW to anyone travelling to Costa Rica." "We had a great adventure! Thank you all for the honeymoon of our dreams and making everything so easy." "Excellent communication from the team members of Pacific Trade Winds. It took several itineraries to get what we were looking for but overall I was happy with our activities and happy that they were able to accommodate some delays in booking on our end. I have recommended and would continue to recommend your services to friends, family, etc." "Hats off, you guys are amazing! From the very first enquiry, via several iterations of planning, to last minute quick questions, your customer service was truly outstanding. Whether by email or on the phone, your advice was personal, friendly and took into account the particularities of the travelling group. You helped us choose a spectacular tour, and your reply times are unmatched. The logistics of our trip worked perfectly from start to end. A big, big thank you for all your help!" "We were disappointed with the Belmar Hotel, their bed sheets had holes and their bath towels were old and dirty. You could see stains in the towels some looked like blood. It was gross. Will not go back to that hotel again. We did like the town of Monteverde." "Planning through Pacific Trade Winds made our honeymoon go so smoothly. I would definitely go through this company again." "Only comment consider calling customer at hotel to see if all going well. Other than that I will use you guys again and recommend you to my friends." "I will be planning through your company again. We had no worries at all while down there and we felt taken care of which is what we wanted.. some ways to improve would be the transportation ( Cushion comfort or if using the same bus provide pillow, blanket) to help sleep during some transfers. I understand the business flexibility of having that little bus but if I were able to sleep more this would raise my rating to a 10/10... I did enjoy talking to Orlando.. he is the very best. Another mention is the free dinner, It was nice of you to find somewhere that it was included but the level of quality could not compare.to what we had been experiencing... a voucher might be best in that case.. since I had said we were foodies"
"Excellent serice and responsivness. Staff is great. Very professional and we never had an issue with any of our reservations and took the worry out of our plans. The team was even able to recover a forgotten item we left at our hotel. I would recommend your service to anyone!" "Excellent trip. Everything ran like clockwork. Hotels, excursions and overall service exceptional. Thank you." "You all made this trip seamless and effortless on our parts. Great job. We will definitely recommend to others!" "Pacific Trade Winds did an amazing job planning our trip. They were prompt with answering any emails for any questions or concerns. I highly recommend Pacific Trade Winds for anyone visiting Costa Rica." "Excellent service, 100% recommend, excellent organisation, communication and the entire holiday ran without a single hitch. You made our holiday stress free and will be recommending you to all our friends interested in Costa Rica . Many many thanks and a big thanks to Amy too!" "Glad we cancel some tours, what we got was not worth the price"
"highly recommend your services to anyone"
"I have already spread the word at home about your services. It was amazing to find a company that literally did everything and we just had to show up all within our budget. The vacation was perfect and we couldn't thank you enough." "I am very happy with the logistics of my vacation package, it was perfect for me"
"Previous vacations have always seemed rushed and went by to quickly to enjoy despite seeing wonders from around the globe. That plus the stress of figuring out how to get to places in a country we had no prior experience traveling in made the vacations all the less enjoyable. This vacation, however, was one of the best I have ever had. I got to experience the culture and wonders of Costa Rica on a relaxing timetable and be able to chill in both hotel rooms, jacuzzi, hot springs and never having to worry about transportation from one place to another. Thank you." "The vacation planning was so easy. I didn't really need to worry about anything during the trip. I felt like we really got to experience the best of what there was to partake in. Thanks so much!" "Great services at a reasonable price. We will use you again for our next vacate in Costa Rica. Thanks"
"Everything planned with PTW went off without any issues. All logistics were taken care of with no issues. Very responsive in communication and helpful with planning. Will definitely recommend to others and use PTW again in the future." "We were very happy with the hotel choices and locations, trips and overall trip planned. Thank you for changing the transportation when we requested earlier pick up while on the trip, it was perfect. I will definitely recommend your company to friends and family. thank you!!" "I wish when you recommen Aerenal Springs you would let your guest know that they will be staying in a place that they have to do lots of walking, not a hotel, nothing to do unless you take a taxi every where, service not great although they have ample staff, for breakfast they all stood around with coffee pots, but we would have to get up and ask for it, no good"
"We couldn't be happier with PTW services. The communication was so fast and we loved everything you planned for us. We will tell everyone we know going to Costa Rica to use your services. Thank you for everything. We had an amazing trip in your beautiful country." "One slight miscommunication: I had thought the sloth tour was a night time tour. Booked a night tour outside Manuel Antonio through Hotel La Mariposa when we got there. Staff at hotel was very helpful. Not sure the tour company but our guide, Luis, was great. The night tour ended up being a highlight of the trip." "Everything was perfect and went off without a hitch. Thank you for a fantastic vacation that our family will remember forever!" "Loved the travel agent. He was unbelievably attentive and good." "Matt Cassady and the Staff were informative and responded quickly to my questions. I would recommend this Pacific Trade Winds to a fiend." "Rebecca was great and very knowledgeable. Every other team member we talked to was nice, but second to Rebecca. Now that I visit has passed, I think it would have been a better value to rent a car after our hotel to hotel transport, and we personally would have liked the freedom. Overall we really enjoyed our honeymoon. Thank you"
"Overall, Pacific Trade Winds was amazing! Between setting everything up and planning great excursions, I definitely would not have been able to plan such an amazing trip on my own! Ivannia was amazing and I cannot say enough good things about her, Overall, this was one of my very favorite vacations!" "Pacific trade winds is the best! We had decided to travel somewhat at the last minute to Costa Rica and I happen to come across them as I was researching the country and I’m so glad I did! You made our trip to Costa Rica a wonderful experience. Everything was so well organized, like clock work. All the tour operators and transportation you used were outstanding. PTW is very professional and tailored the trip to what we wanted and that’s what we got. Excellent communication before, during and after trip!! THANK YOU PACIFITRADE WINDS!!" "Rebecca was exceptional - going out of her way to help us with special accommodations. She was very helpful and professional, spending extra time to research our questions and needs." "This company is great. Great overall service. Not too sure about the voucher system, because not one of the guides asked for it and when I would try to give it to them, they would tell me to just hold on to it. I rated the overall value an 8 because I felt it was a bit high after the experience. I would definitely use this company again though." "You guys are absolutely amazing! Your services and planing exceeded all my expectations. I was bragging to everyone who'd listen about how fantastic you all are!" "Excellent.from day one to our last communication. Staff was always available to answer questions. They were very knowledgeable patient and professional and responded to changes in our plans quickly, professionally and friendly. I highly recommend using Pacific Trade Winds to plan and execute a trip. Thank you for all your assistance and allowing our family of eleven to have a wonderful and stress free experience in Costa Rica"
"PTW went beyond our expectations. Always there to help us and always delivering what was promised. Great attitude and value." "I thought you all were great! We would definitely go with you again! This made things very easy for planning and we knew what we were doing. This made for a smooth trip and everything worked out great!" "Overall, we felt that you designed a very nice trip for us - we got to see three distinctly different areas of CR and liked each for their unique climates and excursions. We definitely would recommend you to others. If you could just improve the transfer process, that would be appreciated." "I had high expectations of PTW, but your staff and systems were even better than I had thought they would be. Your entire organization works flawlessly, with complete attention to every detail and constant caring about us as individuals. Thank you for the perfect vacation. You are the perfect ones to represent your beautiful country." "I had the best vacation thanks to you all! You are incredible & very attentive! If you planned trips to other countires I would absolutely use you every vacation! I recommended you all to my friend Ximena for later this month and I am confident she will also have an amazing trip! "We are overwhelmed with the excellence of your services. We will most definitely be return customers." "I would definitely recommend Pacific Trade Winds. You all did a fantastic job of communicating, planning, and delivering." "Thank you very much for great vacation! PTW done remarkable job. Few things: Concider offering selvatura hanging bridges in Monteverde and aventuta zip line . Selvatura bridges are much more fun then Aventura bridges. Reptile and butterfly garden are not worth time or money . Very bad experience with aventura pick up - see emails I have sent to PTW, very stressful . La Paz waterfall stop was best part of the trip, Concider offering to your client who travel from San Jose to La Fortuna.3-4 h is good time there but it was absolutely the best experience. Thank you for great vacation, I loved working with PTW." "It was really great! I made the mistake of making the plane reservations into SJO instead of Liberia -- that would have helped things. But the activities that were planned were all very good. The transportation was just excellent. And even though "Tico time" was mentioned, everything was right on time. We never had a need to contact PTW during the trip, because everything went exactly as planned and as expected. We added a few extra little things in and it was nice to have that freedom to do that on our own and explore on our own in these towns (Santa Elena, and Tamarindo, and La Fortuna). We would definitely recommend using PTW to others and would do that again for ourselves." "We could have had more help with understanding transportation times and things to do, this was our first trip and we hired your services because we did not have time to do the research ourselves. But everyone was very friendly and helpful and it was good to have someone to call when having difficulties or had questions." "PTW rocks, I will continue to recommend your services. Thanks to Matt and team for putting together what felt like a once in a lifetime trip for our family. None of us will ever forget it!!" "I will recommend your services!" "I was beyond satisfied with the services you provided. I had researched many companies, but not one stood up to your service. I also like how you include the transfers on all the activities, making traveling around so effortless. I would recommend your site to anyone looking to go to costa rica in the future"
"I give top marks for everything. Your staff was very professional and easy to work with. Natalia put together the vacation I wanted. Except for changing lodges at the last minute (which was handled very well), there were no complications. The transfers were prompt and we arrived at all our destinations safely. I would recommend all the tour companies that we had on our excursions. Every guide was extremely knowledgeable and friendly and made every effort to ensure we had a good experience. I will definitely recommend your company to anyone traveling to Costa Rica. Feel free to contact me with any questions, or if you need me to clarify anything in my comments." "Overall a terrific trip. As I said above I was not happy with the Tortuguero experience and thought that Pacific Trade Winds should have explained up front what this would be like and offered other independent, more personalized options." "I will be planning many vacation destinations with your company! everything was very professional, spelled out in black and white, easy to understand, all went smoothly and on time. thank you all for such a beautiful and memorable vacation"
"Overall this was on of our favorite vacations. We had no problems throughout the entire experience. I will be visiting Costa Rica again and will use your services as well as recommending to everyone I know. Thank you for helping our family make tons of new memories in a beautiful country. Pura Vida!!" Thanks heaps for all your help." "We had am amazing vacation, and we would recommend Pacific Trade Winds unreservedly (in fact, I just passed on your name to a co-worker today!) Thank you all so much for one of our most memorable vacations!!!! We'll be back, and we'll definitely be using Pacific Trade Winds again!!!!" "You were recommended to us by a friend. They were right. You were efficient and very informative about our trip to Costa Rica. Thanks so much!" "Very happy with your services. Thanks so much!" "We were delighted with PTW, both before and whilst in Costa Rica. Signing up from the UK was daunting, however, as there are many scams and no regulation. My only recommendation would be to suggest you look at ways to reassure new international clients. As it turned out we neednt have worried, and Id recommend PTW without hesitation to others"
"Excellent service with wonderful and quiet responses to questions and ideas. The pick ups were always on time and well explained. Extremely reliable. Highly recommend without any concerns." "We are so happy with our trip!! Honestly we could not have planned a better experience. You guys did such an amazing job!! Thank you for answering all of my emails right away and reaching out while we were there. 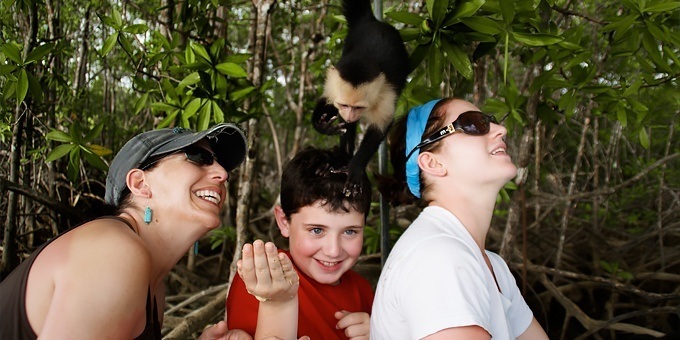 We have already been recommending our friends and families to go to Costa Rica and use your company to plan it. THANK YOU!!" "This was the first time I have used a travel planner. I thought the private transfers were a great value and we were happy not to have to drive. I feel I could have managed my own accommodation reservations for a better price, but I liked having the itinerary recommendations and I was very happy with all of our excursions." "Everything was fantastic! I would highly recommend your services to anyone looking to travel to CR. The only tiniest thing I would change would be knowing how long each excursion was going to be ahead of time. The itinerary listed the duration for transfers and some activities said 'half day' or 'full day' but others did not. Thank you so much!" "We are very happy with this vacation. Thank you for a great time in Costa Rica! We will recommend your company for our Norwegian friends." "This was our first trip to Costa Rica, and you all were a pleasure to work with from the very beginning planning stages. We can't wait to return and will definitely be going through you all for all our future trips because you make it so easy and fun to plan a wonderful vacation." "I will definitely use the service again. Only thing I could recommend is to try and get matching hotel rates as sites like hotel.com or booking.com. It would make it easier to book all things together." "Thank you for a wonderful vacation"
"5 star on trip advisor"
"Your company was super user friendly and the places were perfect. Extremely satisfied with the experience and I would recommend your company for anyone traveling to Costa Rica." "Would definitely recommend your services to others." "Would definitely recommend your services and all the hotels visited. Hope to return to Costa Rica in the future ." "Would definitely recommend your tour company. I appreciate all of the communication and how easy it was to contact you while there. You guys were great from the start- think I tweaked our itinerary 9 times! Thanks so much for making our stay in Costa Rica a perfect 10! It couldn't have been any better!! Thank You Thank You!!" "Thank you so much. It was a great vacation for our family. One we always talk about and remember for many years. So much fun! Thank you and the the fabulous staff for a job whell done." "Pacific Trade Winds was the best travel agency I've ever used. I highly recommend them." "Our trip needed to be changed due to weather. Overall communication was poor." "You made our vacation perfect! Even our teenagers loved every aspect of the trip, and they're hard to impress. Thank you so much!" "This was one of the best vacations I have ever taken. I love how I left the planning to someone else but still got input. Your staff is so helpful and friendly. All transfers were on time. I cannot say enough good things about the experience!" "I would recommend your agency to anyone traveling to Costa Rica." "I was surprised at how expensive it was while at the Arenal resort. Taxes and service fees are high. Also, it would have been good to know about the Westin beach restrictions. i.e. no lounge chairs could be placed on the Conchal beach area." "Prompt response to questions. Great customer service and everyone is extremely friendly. Thank you for your services!!!" "The only part that was not so good was Shana Hotel and also that area was very touristy and probably will not go back to that area. Everything went very smoothly, no real complaints. The Guides were very friendly and knowledgeable. We will definitely go back to Costa Rica, love the Pura Vida!" "Thank you for helping us plan a perfect Costa Rica vacation. We had a great time! We plan on traveling to Costa Rica again and will use your services again!" "Ivannia was amazing and always listened to me even when I asked her the same things over and over again. She never lost patience and she was nice. I feel so lucky to have the opportunity working with her"
"I can not say enough about the trip. Everything was seamless. Guides were friendly and on time. Drivers were courteous. You planned a nice mix of adventure, nature, beach-just as I had requested. You planned within my budget. Thank you, thank you, thank you!" "I will be recommending Pacific Trade Winds to everyone interested in traveling to Costa Rica. Tremendous service and value!" "I will definitely recommend PTW to all of my friends and family :-)))"
"Thank you for you help in making our vacation wonderful!" "Very attentive and timely response. All activities went well without any issues." "I was grateful not to need any services while we were in Costa Rica as everything went fairly smoothly but I had no doubt that PTW was there in the case of something going wrong and that was reassuring. I think we were pretty easy clients, but Pacific Trade Winds was also a pretty easy company to do business with. Matt was quick to submit choices and make changes at my request and every employee we dealt with was polite and quick to respond. We will recommend PTW to anyone we know planning a trip to Costa Rica. Being fond of reading up on a trip and researching a country before traveling, I found the website particularly helpful and valuable so I didn't HAVE too many questions or surprises. The only thing I wished I had done differently was realize that the rooms we were getting were more expansive than I thought they would be. We definitely could have made due with one instead of two rooms at Costa Verde...this trip was a little more extravagant than we are used to, but it was celebrating a lot of life changes for our family and thus worth it. Thanks for your help!" "You picked great trips in Arenal. Thanks! So glad not to have to rent a car. Los Lagos was beautiful, but the students were a huge problem. I appreciate your quick responses when I had questions and changes." "I've never gone through a service like this before, and although I wasn't the one in contact with it (my sister was) I was very impressed with how it was set up and how everything was thoroughly executed. would definitely recommend"
"I was really nervous about the heavy rain from the night before the hanging bridge tour and the safety of the bridges. PTW listened to my concerns and followed up quickly. I would highly recommend your services to anyone traveling to Costa Rica! Thanks for the great service." "Other than our issues with El Diria we had the most amazing and perfect honeymoon. PTW is the best company I've ever worked with and I felt so at ease in all that you did to plan and execute an amazing trip." "I highly recommend Pacific Trade Winds. Very organized. A special thanks to sweet Natalia. I would love to meet her in person." "We had such a great experience with PTW! Everything was so easy and you really did a great job helping me pick hotels that fit our needs. We loved the ease of prescheduled transportation and the immediate assistance through email when I had questions or concerns. I will definitely recommend this company to anyone traveling in costa rica!" "I didn't price individual services to be able to put a "value" on your service, but the convenience was great. There was a bit of a communication gap after we had made payment until 2 weeks before travel, where I started to wonder if all was well, but clearly everything was set up very nicely. I thought you would like to know that two different tour companies in Arenal commented that they didn't need our vouchers because your company makes sure everything is set without them. I got the impression that they thought very highly of your company, which was a great feeling for us." "I enjoyed talking with Andres Vergas. He was helpful and gave his input. We were little hesitant coming there but PTW staff made it easy and rest was lot easy once we got there because all drivers and tour guides were punctual, reliable, courteous, knowledgeable, and speak English. Thank you for making this our best vacation so far. We all 8 people loved it, fully enjoyed it and can't wait to come back again. "Our experience was excellent will recommend to all others traveling to Costa Rica! Not having to worry about any planning was so stress free! All tours were excellent. Transfers seamless. Would use you guys again in the future. Thank you for all of your help and guiding. It was a vacation to remember!! Pura vida!!" "The quality of service and prompt responses from your organisation we have found to be outstanding. The value for money has been good and suggestions you have made as to the content of our trip were really helpful. I have been recommending you to my friends and family. Thank you for helping us have such a lovely first trip to Costa Rica. Pura Vida!" "Our trip was not inexpensive, but we did receive excellent customer service And so we feel that over all we received an excellent value. Rebecca, Stephanie, and another staff member whose name begins with a Z were all extremely helpful and attentive and available. As were other staff members who assisted throughout. We had a few last-minute changes to our itinerary (Activity days, transport times) . We had one experience where we were charged more than we were quoted for one of our changes, but with one phone call your staff did the right thing , Reviewed the recording of the original conversation we had with the person who quoted the price, and charged us the agreed-upon price. We were very impressed with the customer service of your company. I plan to very favorably review your company and your staff on trip advisor ." "We would love to use you again. We have already referred friends." "Very happy! Loved our trip." "Thank you for everything! We had an amazing trip!" "Thank you, I would definitely do this again!" "When our arrival time was significantly delayed due to a missed connection, we appreciated the prompt attention and rescheduling of our airport pick-up and transportation to the hotel. Our only complaint was with the miscommunication about the Night Tour Mangrove Kayaking. Because the title was for a "night tour," and we had no other tours scheduled in the afternoon hours, we assumed the 10:00 time was PM and had no way of knowing that the time would have been reflected as 22:00. We would not have scheduled a day-time kayak tour, so communication could have been improved there. However, we very much appreciated the prompt response and coordination with the tour company to reschedule our family with an alternate activity, which we ended up enjoying a great deal! Overall, I am very pleased with PTW's service, value, and would (and will) recommend the company to anyone contemplating a trip to CR." "Loved Costa Rica and have already referred Pacific Tradewinds to friends!" "Costa Rica made easy, I will definitely recommend this service to others. I wish the different transportation options had been explained to me, as there were more available options than seemed to be provided." "Ivannia and her team were excellent!! SHe was always there to answer any questions we had. I would like to recognize her for all the help she extended...thank you." "I felt rushed with the process. I had no idea what we were getting into and could have used more guidance. I thought we had to rent a car to get to all the places we wanted to see, but it actually hindered our ability to go places because of parking. Many people we met did not have cars and were able to get anywhere in the country via bus. I also did not realize that what was in the itinerary was not necessarily recommended by Pacific Trade Winds. Every hotel we stayed at had a variety of excursions available, so I did not need to rush to decide. With that being said, the tours and hotels that were booked for us were fantastic. I would absolutely rebook at any of the hotels. The o ly thing I would have changed with the yours is more combination options. It takes a long time to go anywhere, so you might as well maximize your time. My recommendation to future travelers is to look at all the options PTW gives you before committing. Overall, we had a fantastic trip and leared a lot. We hope to do it again!" "I would certainly use you again for a trip to Costa Rica. Your people couldn't be better." "Very helpful. I would highly recommend PTW. Thank you for everything." "We have traveled internationally with several small group travel companies. We have not tried this kind of service before and have found it a wonderful way to plan a trip and a cost saver . We had a wonderful time. thank you. Carolyn"
"This is the first time I have ever used a travel agency rather than planned a trip myself. Because of some extreme issues happening at home, I was unable to plan this last minute trip and took a chance with Pacific Trade Winds. Overall I was very happy. This was also the first time we travelled using private transport rather than a rental car and it was fantastic. All the drivers were on time and friendly with great vans. It made everything so easy. Thanks." "Loved working with Pacific Tradewinds. Communication was quick and easy. The only issues were around the car seats. We loved our trip- thank you !" "I have already highly recommended PTW. You all were wonderful to work with, accommodating, and my trip was seamless because of your hard work! The communication was consistent, professional and friendly. Thank you all for making my Costa Rica vacation memorable and beautiful! I cannot wait to go back ! "Your service in planning was excellent and very helpful. Support along the way was also top notch in making suggestions and helping us adjust our itinerary or pickup times. We will highly encourage friends to work with you when traveling to Costa Rica. Thank you very much!" "AMAZING, would absolutely recommend to all my family and friends." "Everything was great!!! We loved our trip!" "I appreciate all your help and responsiveness. Email's were often answered within an hour. All the options and suggestions were great. Only two complaints were the drive from Arenal to the Westin and the price of the shuttle from Weston to Tamarindo. But overall I was very happy with your service and would use it again and recommend it to friends! Thank you!" "I was extremely satisfied with the communication and services I received. I would definitely use and recommend Pacific Trade Winds." "Santamarias was the only bad choice"
"Good communication. Fabulous lodgings and hotel guides (who we hired independently were all terrific). Issues with unsafe drivers and santamarias night walk need to be fixed." "So glad I worked with PTW for this trip. Made everything so smooth and easy! Thank you!!" "Great communication and recommendations! Best way to put it is we are looking to go back in 2 years and already send your team a note about the next trip." "Thank you! You made it a truly remarkable and memorable trip!" "Prices were about the same, sometimes cheaper but mostly a bit more expensive than touring direct. But advice on Tabacon springs for our family was great and superb advice and prompt, courteous and friendly service. Will definitely recommend PCT to our friends and social networks. Thank You." "Pacific Trade Winds service was excellent. Really enjoyed every aspect of the holiday & will definitely return to Costa Rica & use your services again when we do." "Chantell was fantastic. We are planning our next vacation now for next year and will be calling shortly"
"It was comforting to know we had someone in Costa Rica if there were any problems or we needed anything. We love the Costa Rican people we met, everyone is friendly and willing to help. Pura Vida is truly evident everywhere we went. Thank you!" "This trip couldn't have gone better. The planning, the communication, the timing of the transportation, everything was perfect. I am so very impressed with your company. I will use you again and again when I go to Costa Rica. I also will recommend your company to all my friends. We did not have one issue during our entire trip! Great job!!!!" "Everything about the planning & execution of our trip was perfect! We had the best time & PTW services & were exceptional! Will definitely use them again on our next trip. Thank you so much!" "The first full payment was very difficult to make. I am not sure if the system was down or what the problem was but the link would not work. My only real complaint is that each time, we would arrive at a hotel about 2-2.5 hours before we could check in. After a 3 hour drive, I was quite frustrated waiting around in the lobby until 3pm check in. Even at the beach hotel, we walked around the property to kill time but arriving more than an hour before check in, I believe, is too much to expect someone to wait. If transportation could come later so we could arrive later that would have been much much better. But yes, I would happily use your services again." "We had a great trip." "Everything went exactly as was told/planned. It was a great vacation and I appreciate all the assistance from Amy who helped us plan everything. I would definitely recommend your company to anyone looking to vacation in Costa Rica. Thank you!!" "This is the second time I've used your services. We met a couple from Hong Kong who felt as we did, that it was lucky we found you. I've told everyone to use you if they ever visit your country and I told my agent for a coming Hawaiian trip that they could all take a lesson from your company about how to treat clientele and how to make their materials more people-friendly. Thanks for making my trip worry-free and giving me special memories with my granddaughter." "we will recommend your company to many of our guests. We enjoyed the experience." "I have already recommended this service to several family members and friends." And you will be hearing from us soon. "Overall we had a great time. The planning was quite easy with your help and feedback. Your staff's responses to my e-mails were always immediate and minimized stress when needing to make last minute pre-trip decisions. I liked how you offered suggestions and provided options. I would recommend your services to others!" "Your company was AWESOME!!! Will refer to all of our friends." "I will recommend you to others. Thank you for making such a wonderful memory for our 30th anniversary. I will use you again!" "Outstanding service. Everything ran very smoothly! Thank you"
"Really great help planning the trip. We all had a nice time and never had to worry about anything. The PTW staff were great. The whole process was incredibly easy. We will recommend your company to friends." "you all were so great, you had everything down and it all happened exactly as planned, everybody on time, and the bottom line is we would do the exact same trip again and not change a thing. thanks so much!" "Couldn't be happier! All of the guides were so knowledgable, each transport was exactly on time, we loved the itinerary you built for us, and you used rafting and ziplining companies that were very safe with top knoch equipment. We couldn't be happier and relish our memories and pictures taken there. Thank you so much for making this vacation happen so smoothly. Booking through you is the only way to go in Costa Rica." "It was so easy to work with PTW and Antonio Hidalgo- this was a perfect trip for travel with teen boys- they LOVED." "Everyone was so helpful every step of the way. It was so great to have everything taken care of once we got there so we could just relax and enjoy ourselves. Wonderful experience!" "We had an incredible experience. Everything went so smoothly and everyone got what they wanted and needed. The emergency health system was amazing. Kudos to Dr. Carmona at the Emergency Health Center. He provided us with excellent health care. He came to our hotel, diagnosed the problem, provided medication, directed us to the clinic for blood tests, twice and then checked him again at the Emergency Health Center. Even gave him an EKG. Got us back on track in 1 1/2 days. Can't ask for better. Thank you all for a beautiful and most memorable vacation. We would certainly recommend your service to anyone wishing to go to Costa Rica. Maybe even do a return trip ourselves." "Thank you for a wonderful honeymoon! You made it absolutely stress free and fun!" "PTW did an awesome job planning our trip, helping us to choose and book excursions, and was very lenient and helpful when problems arose. I would absolutely recommend this travel company to family and friends, as PTW made my Costa Rican vacation the best, and must unforgettable, experience." "Fantastic! I'm recommending PTW to everyone who is considering a holiday in Costa Rica. The service and assistance provided was just outstanding both in the planning stage and once we were there. Immediate responses to any queries and all the logistics were perfect. Not one pickup was late and everything ran like clockwork without us feeling overly managed. Really, it couldn't have been better. Thank you so much - best trip ever!" "Hopefully we will visit CR again sometime. We will definitely be using PTW! I've already recommended the company to a few others. Keep up the good work!" "Pacific Tradewinds did an excellent job. set up the entire trip based upon our wants and needs." "Absolutely the best travel agency!! Extremely friendly and helpful staff. All communications were prompt and thorough. All plans were detailed and complete. Highly responsive to any questions or concerns. Provided excellent activity suggestions and planned out every detail of our vacation perfectly. All logistics were perfect and on time. Exceeded our expectations!" "Pacific Trade Winds (PTW) couldn't have done a finer job with all of the aspects of our trip. I wish that I could give a higher rating as my husband and I experienced nothing but 5 star service from initiating this trip online, until well after our return. This service was far above and beyond our expectations and we HIGHLY recommend it for anyone who cares to have a custom made trip tailored to you and you alone! It is an incredible high value compared to the (relatively inexpensive) cost. We will always use this service in the future and recommend PTW to everyone we know!" "I would definitely recommend Pacific Trade Winds to anyone considering taking a trip to Costa Rica for their first time." "We couldn’t have put this together without your help. Having never traveled to Costa Rica we weren’t sure of what we wanted to do. You helped guide us and planned our trip and everything worked out great. When we had a couple excursion issues you helped out to resolve the problem. We couldn’t be happier with the trip"
"Thank you for your hard work in planning our unforgettable trip!!!" "You guys went above and beyond to make my vacation a dream come true! Cannot wait to come back and visit your beautiful country!" Natalia was a so good with us thru out the whole process and meet our expectation. My wife loved everything about the trip even the Belmar, so Happy wife happy life Pura Vida!!!" "you may have mentioned it--but the first driver was outside the airport---not a big deal and the folks in the airport told us they usually are on the outside of the airport.---hopefully we will return to Costa Rica again thanks for all your service Skip Adamson"
"I would give ALL your services a 15 if I could. You were VERY helpful and professional. You made the vacation as enjoyable as it could be. I will HIGHLY recommend your company! And want to thank you for EVERYTHING you did to make our vacation as amazing and wonderful as it could be.!!!! ;-D"
"Everything was perfect. No problems at all"
"We were totally pleased with every aspect of this holiday from start to finish. We have already recommended your service to other people considering going to Costa Rica." "Our interactions with Amy and others handling our payments were really first rate. I'd heartily recommend PTW to others planning an independent tour of Costa Rica. My ratings of the overall value of our tour are no reflection on PTW. Rather, they reflect the high level of development of Costa Rica's tourist infrastructure. It's not cheap to visit Costa Rica - but it's also not super expensive (unless you want it to be). What you experience in Costa Rica - especially if you make a point to travel to the least touristy areas - is beyond price. Thank you!" "Your service is extremely well organized. It was the easiest vacation we have ever taken!" "You guys are the best! Form great pre trip planning to localized tips for places to eat at. Have never had such a brilliant experience with a travel agent. No wonder you guys score 5/5 on TripAdvisor. I’d even give you 6 out of 5!! The only thing that could be improved is the selecting of the last destination as it was way too touristy for us - but no hard feelings as we had the best of times in Costa Rica! Pura Vida!!" "Everything was planned and executed exceptionally. Antonio did a great job finding activities we wanted to do and keeping within our budget. If there was a problem, PTW was on it and fixed it in minutes, giving us options. I highly recommend them to anyone going to CR. First class organization." "You did a great job of working within our budget, and hit everything we could have hoped for. You worked well with the cancellation of one of our tours to get us on the next day. Phenomenal company, would highly recommend it." "You guys were the best part of the whole trip. Thanks for you kindness and great service"
"I will definitely use your service again and I have already recommended you to friends! Extremely helpful and everything went as planned. You really nailed what I was looking for in my vacation. Smooth from beginning to end which is greatly appreciated since this was my first time in Costa Rica." "What a great and easy way to arrange a vacation. No worries, and overall pleasant." "Everything this company said they would do, they did. They were completely accurate and there were no surprises or unexpected turns. We were very very pleased with their communication and thoroughness. Highly recommend!!!" "WE WILL travel again with and recommend PTW. Thank you for helping us make this trip a most memorable vacation of a lifetime! We were most impressed with the clear communication, prompt email replies and phone calls and refund from a canceled tour. Every service PTW provided was prompt, and professional. We didn't worry about any of the details! Thank you!!" "The pickups and drop offs were amazing. No issues at all. I thought the Ride CR drivers were great and would recommend them. The Communication with PTW was always prompt and informative just what I appreciate. Payment was made so easy for us here in NZ although our bank was concerned about our Visa payment to somewhere in Costa Rica :) I am trying to convince more people to go to Costa Rica and ultimately use PTW. I thought your company did an amazing job for us and we thoroughly enjoyed our time in Costa Rica." "We were extremely impressed with Pacific Trade Winds from the initial contact to the end of our vacation. Every location and hotel we stayed in met with our expectation and was in line with what we had requested. We would not hesitate to recommend them to others or to use them again when we return to Costa Rica." "Overall very satisfied. You guys were easy to work with, very professional, very organized. We had a great time, everything went smoothly, and we came away with a much better sense of Costa Rica. As I mentioned earlier, we felt 1 less night in Monteverde would have been better for us, but this is in hindsight. Value wise, I didn't really check pricing of individual items so I don't have a good sense of what it would have cost to put this together ourselves. I didn't want to do that anyway, and I felt that the overall cost was reasonable for what we got." "We had an incredible experience. We appreciated the expertise before the trip and the expert logistics we experienced ... A couple of minor suggestions: warn others of the boat ride from Siempe to Drake Bay (a bit rough). The extra money we paid for private transfer to Monteverde was well worth it.... wished we had it for the transfer FROM Monteverde (rough road)." "every pick up was there, great timing and service. this review is for steve balog and julie page"
"We cannot more highly recommend the services of all the staff at Pacific Trade Winds! So happy we planned our trip with them....Ivannia especially was so help throughout the planning process. We had no issues the entire trip, and the experience was stress-free thanks to your company's great communication and assistance!!" "Would.use you guys again and again." "I have been raving about our trip since being home. Highly recommending our experiences to others as a chance to visit Central America and feel perfectly safe and meet such wonderful and life-loving people. Will look forward to visiting again!" "The level of service you provided, from my initial email query, right through to the final exchange regarding the airport transfer time, was excellent. I was continually impressed at how quickly you were able to return my messages and the information you gave us was extremely helpful in helping us decide which tours to go on. I have already passed along your name to friends who are thinking of trips to CR. Full marks all around to your entire team. Thank you very much from both of us." "Chantal was very patient and wonderful about helping me understand what to expect on our first trip to Costa Rica. She did a great job listening to what we wanted out of the holiday and helped us put together a trip that was very enjoyable for me and my boyfriend. I would highly recommend PTW to anyone heading to Costa Rica. The only critique that I had was that I wasn't given specific information on traveling within Costa Rica, such as how to get to the OSO pennisula until I did my own research and discovered that we couldn't drive there with our rental car and we had to take a boat. Having more information about scheduling arrivals and departures and travel would have been helpful." "We were very pleased with Pacific trade winds and your service. Everything worked perfectly. The people of Costa Rica are wonderful. Have recommended your company and your country to many people since we have been back"
"Pacific Trade Winds was an absolute pleasure to work with! They provided a wide variety of activities for selection and coordinated all the details. I just had to print the vouchers and show up. They were unbelievably knowledgable and responsive. I highly recommend them!" "I would recommend this agency!" "Your company was great and exceeded our expectations. Thank you for everything! We had a fabulous trip." "I appreciated the promptness of your response and all the accommodations were done without any delays especially the transfers. They all arrived on time. The only disappointing part were the room at Los Lagos. We couldn’t wait to get out of there. I would have paid more to stay at a nicer hotel. However I will recommend you to my family and friends"
"For our first time in Costs Rico I think it was perfect. The fact we had transportation already planned was great. Our other option was to rent a car and that would have been almost impossible with the small unmarked roads. Didn't have to worry about getting signed up for tours or anything, it was already planned out which made it super easy to just have fun. I would recommend this for anyone going. We probably could have saved money by doing it all ourselves but the benefit of not having to worry about anything at all was more than worth it. Thanks again for a great trip." "Despite a few disappointments, the vacation was amazing!! I would highly recommend this travel agency, and would definitely use you again in the future. Thank you for planning the trip of a lifetime!" "The entire team and experience was awesome! I wish I could use your services for travel outside of CR. A special thank you to Hugo who answered all of my questions to give me the assurances that I needed. His service was top-knotch and timely and it was my pleasure to have worked with him. Our vacation was so awesome because of the time he devoted to giving us exactly what I requested. Thank you Hugo and team." "the support advice and organisation was superb - thank you Pacific Trade Winds for your advice and perfect service"
"Very happy to have the service and assistance." "Everyone was very responsive, friendly and helpful. We knew nothing about Costa Rica but with your help we were able to put together a great itinerary. Trip went very smoothly and everyone thoroughly enjoyed themselves. Thank you"
"Antonio planned a fantastic trip for us! He was patient and accommodating. Everything went smoothly from start to finish. We would highly recommend others to use this company to plan their trip to Costa Rica!" "No doubt the best company I have ever booked through! Well done!" "This was our first time using a travel service for a trip like this. You guys were very helpful and attentive. Thanks!" "Thank you we had a great rip and I have told many friends about your service." "Fantastic- thanks for all Amy did for us!" "We had a great vacation, as expected, and will recommend your service to our friends"
"I would recommend Pacific Trade Winds to everyone I know! It made everything so easy, and I had no concerns the whole trip! Thank you!" "Great support from Pacific trade winds .thanks for helping plan and execute on well organized and fun vacation." "This trip was incredible and I would highly recommend your services to anyone looking to book a trip to Costa Rica. It was affordable, easy, and enjoyable! Thank you!!!" "We really appreciated the services provided by Pacific Trade Winds. Your attention to detail and promptness really made our vacation special! We appreciated the detailed instructions and itinerary. I have recommended your services to friends and family already. Thanks! :)"
"We were so impressed how every company was on time (down to the minute!) with quality tours and transportation. Every service person we came in contact with were friendly and genuine. Other people who booked with PTW that shared our adventures were all wonderful people and we made some good friends and awesome memories together. I loved the 'choose your own adventure' format you provide and being able to plug in activities into the days we selected, we had no issues since we did our part on the planning process, which was researching the hotels and tours suggested by PTW. I would give the resorts we stayed in 5 stars for value, cleanliness, staff, amenities and other guests. We will definitely be back for more adventures in Costa Rica and will definitely choose Pacific Trade Winds again as our tour operator. Thank you!" "Wonderful vacation. Thanks for doing such a great job." "I will definitely recommend Pacific Trade Winds to anyone going to Costa Rica. Everyone was very responsive, and with my mother that can be a trial, but you all were wonderful. Thank you so much!" "Every part of this trip went off flawlessly. Our hats off to you. We will be coming back to Costa Rica." "Except for #1above- but this was very short lived and we has an absolutely fabulous time." "The whole trip was wonderful. We have recommended it to all our friends"
"You guys were so helpful! I recommended you to a friend who may visit! The service was professional, courteous, prompt. The team helped me find an activity once I was in Manuel Antonio, and was always quick to respond. The quality of what was booked shows that Y'all know what youre doing." "only one person ask ed for the voucher, we could have saved a few trees. :) I couldn't have asked for a better planned trip. Thank you for a memorable vacation." "I wish there were companies like this for all of the countries we travel too. Your service is amazing! Every driver showed up on time and got us safely where we needed to be. We love Costa Rica and recommend your services 100%!" "we changed the transfer times for two of our transfers and you were very quick to acknowledge. this was great." "I am so glad I booked our vacation through Pacific Trade Winds! Everything was planned perfectly according to our needs. When we needed help, there was always someone to speak to and all our problems were resolved immediately. I would 100% book another vacation with Pacific Trade Winds." "I can not say enough about the service I received from Pacific Trade Winds. Being a Canadian and booking through a Costa Rican travel agency, I was hoping everything would work out smoothly. And it was a true pleasure. Communication was always prompt, they helped guide me through building a plan that worked for my family. Payments were easy. The travel package they sent us was thorough. I felt well taken care. All our transportation was on time and the drivers spoke perfect English. I also emailed them during the trip to see if we could change details for one of the days, and they were quick to change some transportation pick up times so we could enjoy more time at one of the fabulous resorts we stayed in. I would recommend anyone, including Canadians, to use PTW. In fact, I have already had friends use PTW since my trip!" "Ivannia was awesome - she adapted to changes that occurred within weeks of our arrival and was available by email to assist with last minute changes related to one member of our party who broke his leg before the trip and who had to change a bunch of excursions. I am so grateful to her for her help!" "Antonio was remarkable. I will recommend him directly for travel to Costa Rica....he was prompt, professional, and "on the job" even when we had problems in Costa Rica....he is a remarkable in the planning and in the execution...thank you ANTONIO!!!!" "We thought Pacific Trade Winds did an excellent job overall and have already recommended you to others. We will definitely book through you again!" It was great to have a 24/7 emergency number in Costa Rica. Thank you for such a great vacation." "We were really pleased with the support you provided in planning and booking our trip. I'd highly recommend you to anyone looking to book a trip to Costa Rica and wanted to make the best use of their time and money." "I have recommended PTW to so many people. It was amazingly smooth, organized, and so easy to ask for assistance during our vacation. Thanks for an amazing trip. I cannot believe I came across your company by accident!" "We loved our Costa Rica vacation! Thank you!" "We are very happy with the service we received. The staff was prompt to reply and ready to make changes for us. All responses were full of information. The reason why I gave an 8 to planning assistance, is because I wish it would've been suggested that we rent a car rather than having transportation arranged for us, but that's only our preference. We really appreciate the care we received during planning our vacation and when we were in Costa Rica. I would contact you again if planning to visit Costa Rica in the future. Thank you for a wonderful experience!" "I just recommended Pacific Trade Winds to 5 of my friends and I have only been back a day." "Had the best time! And everything ran so smoothly!" "I must admit that at the beginning I thought that you (Anthonio Hidalgo) were too good to be true. I kept waiting for something to go wrong, for sometime not to work out, but that never happened. The experience you put together for my group was the most relaxing, trouble-free, interesting, beautiful vacation experience I have ever had. I felt a lot of pressure since I was kind of the "leader" of the group and you guys made me look brilliant!! Your organization set a standard that I can't imagine anyone could surpass. If (and hopefully when), I travel to Costa Rica again, I will look no further than Pacific Tradewinds to plan my trip AND I will recommend your business to ANYONE that I know who may be planning a trip to visit Costa Rica. I will also be suggesting Costa Rica as a vacation destination to friends because of the experience you provided - I don't know of anyone who would not love to have a similar experience. You can thank your friends at the "MyTanFeet" blog for my business - I found the link to your services on that website. I thank you from the bottom of my heart for providing one of the best experiences I have ever had in my life. My only hope is that I can visit again and see more of your beautiful country! Muchas gracias! Pura Vida!!" "Your service was excellent, loved payment schedule and the emails to reminder, the voucher process were on time, all documentation of information prior to going was very informative. You made our trip hassle free and we were able to kick back and leave everything in your hands. Highly recommend your service and will definately use your service again. Thanks for a fantastic vacation"
"You guys were all awesome and helped make this a great trip. We have recommended you to others." "You are the best tour company I have ever work with. You made organizing the trip so simple and enjoyable. Thank you making our trip such an adventure we will never forget." "Highly recommend Pacific Trade Winds! Everything worked out perfectly, made planning this trip very easy." "Your service is the best and has never failed us. On this trip - our third with you- we had many questions during this trip due to so many people in our party and some unusual events like a medical emergency and loss of a camera which you helped us navigate at every turn. we recommend your service to everyone we meet who is planning a trip to Costa Rica"
"I wish Pacific Trade Winds worked in other countries. I love Costa Rica but I would love to visit other locations that have a company that provides such amazing services and options. Thank you!" "Thank you for your help in making this an unforgettable trip!" "Perfect timing for every pickup"
"Thank you so much Braunny for planning our wonderful family vacation! We have shared our itinerary and your site with many friends and family. We hope to return someday, and will be sure to contact you again." "Antonio Hildago was excellent at communicating the details of the trip. aAnd all of the transportation connections worked perfectly!" "I must say that this trip changed my life. I'm sure a lot of people say that but I've traveled a lot of places and the level of service I received on this trip was amazing from the start with working out payment plans and making last minute changes to the hotel and their amazing staff to the various excursions. Everyone was so caring and just overall awesome. My group plans to go back in the near future and we know who we will be contacting for that. :)"
"Exceptional service and attention from everyone with whom we interacted at Pacific Trade Winds. I've already been recommending you to family and friends! We told you the kinds of things we might like to do, and you came right back with a perfect itinerary that addressed our interests and still allowed time for relaxing and enjoying Costa Rica. Thank you for a wonderful trip!" "Choosing PTW to plan our vacation was the best thing we did. Everything went off without a problem. This was as close to perfect as you could get. If it weren't for the noise in the Doubletree it would have been perfect but PTW can't control a noisy hallway, or other things out of their hands, gotta stick to common sense. We will be using PTW for our next trip to Costa Rica and have recommended them to all of our friends thinking of going to CR. These guys are great. Quick, courteous and really know their profession. Can't say enough good things about Pacific Tradewinds." "Despite our unhappiness with Shana Hotel - we had a great time in Costa Rica. Thank you!" "I have been recommending people book trips through Pacific Trade Winds since the moment we got on the plane home! I was so impressed with how organized and responsive everyone was. I truly felt like I didn't have to stress about a single thing while at the same time I got to have a super unique experience in Costa Rica. I can't wait to plan another trip with you all!!" "Pacific Trade Winds did an outstanding job and we would highly recommend to anyone wanting to visit Costa Rica. Overall a very pleasant and trouble free vacation. Our hats off to you for providing an excellent tour service!" "The trip was absolutely wonderful. The only thing that was a bit of a disappointment was the Doubletree Hotel, but in hindsight this was on us since we did not do research on the places we were going before confirming to PTW. I will be contacting you to see what type of tour you can create for the Carribbean side of Costa Rica. We have told everyone that if they was to organize a trip to Costa Rica or anywhere around there, to contact you !!!! Thank you for creating such a wonderful and memorial vacation." "I don't usually like using a travel agent for travel because they don't always add enough value for the price, but I would never go to Costa Rica without using PTW again. I also will recommend you to everyone I know who is thinking of Costa Rica." "Thank you It really helped to have your assistance for our first time to costa, We have recommended you several times since"
"Everyone I spoke with was pleasant and did a great job making our vacation one of the best!! We have a young couple there on vacation right now for their honeymoon on our recommendation 👍🏻"
"Vaction was enjoyable and a great experience." "Initially we were a little confused by the late refund of money owing, but once understood, it all makes sense!!" "Your services were outstanding. We had a wonderful experience with our first visit to Costa Rica." "This was the first time we've used this kind of online travel agency and it was an exceptional experience. The agents were extremely helpful, friendly, and prompt. The excursions that were recommended were very well tailored to our desires, and the ease of being picked up at a given time and delivered to the places we were going made it such a breeze to sit back and enjoy ourselves! I highly recommend Pacific Trade Winds!" "Every single piece of information was detailed and to the point, even from the first emails to the last. All was simply perfect. Everything was very well organised - all of the pick ups were on time. Without your service we would not be able to plan such a preasant round trip - we would not be able to have such a great adventure. Your high quality service made our vacation pleasant to every moment." "I can’t even put into words how impressed I was with Antonio! He blew my mind away with his availability, responsiveness, and professionalism! I felt incredibly comfortable with his suggestions and he did such a fantastic job with the planning! It was really nice to not have to worry about if we made the right choices and if everything was going to go as planned. Everything went very smoothly and it was exactly what we imagined for our honeymoon. Antonio did an amazing job!!" "We had a great vacation in Costa Rica! You guys did such a great job with the planning. Everything went so smoothly. We would definitely contact you again if we visit Costa Rica again and will be recommending to friends too!" "We have already passed on our trip schedule to friends. Thank you for providing an excellent trip"
"Highly recommended to use PTW for this service...You have all been so great , start to finish, including when 2 of our travelers left all their documents, and money in the safe on day 1.... This has been, the best vacation, and not 1 burp or problem during the entire time.....Really, well done, and very much appreciated..."
"would and have recommended your company to everyone I know,. Thank You"
"I was so impressed with Pacific Tradewinds and would highly recommend your services to everyone. All of our activities and transfers were well coordinated. It was a smooth, stress-free vacation. On our travels we met others who put together their trip by themselves and they were so stressed out (especially after all their intra-country flights were cancelled because of the plane crash). And we met others who were part of a big tour group and they had to do activities that they weren't always interested in, put their luggage out early, etc. I felt that our custom vacation that PTW put together for us was absolutely perfect!! Thank you." "We plan on being repeat customers Pacific Trade Winds! Be talking soon I hope Matt. Thank you so much! Pura vida"
"The best holiday I have ever had. The people of Costa Rica are so friendly and are always wanting to make your experience the best.We are already talking about our next trip. Thank-you so much for everything 😎😍😎😍"
"Great vacation but an extra day at each resort would have been nice." "On a couple of occasions things didn't go right and our contact at your company stepped up and made things right quickly and without excuses. I highly recommend Pacific Trade Winds to any of our friends considering a trip to Costa Rica. Thank you so much for helping us have a memorable trip! :)"
"l was very satisfy and will suggest your service to my Friends ." "Anytime I visit Costa Rica, which is bi-annually...I will ALWAYS use you to plan my vacation. So knowledgeable and accommodating. The staff is so friendly and flexible. I love planning my vacations and it’s you." "i had never been to Costa Rica so i would not know were to go and what to do...you made our vacation enjoyable and we were able to see different parts of Costa Rica but different climate of Costa Rica....thanks"
"This trip was the best experience I ever had working with an agency on making travel arrangements. The communications throughout the entire process from PTW was outstanding. Our guides and transportation drivers were absolutely great. I will definitely recommend PTW to other travelers." "This travel agency did a fantastic job. I will definitely be using you all again! Every concern or question was always answered immediately, and many other questions were answered on your preparation emails and on the website, we made sure to pay attention to these details so that we didn't miss important info. The nicest employees and very helpful. You all did a great job organizing my trip and it was 100% stress FREE! The only bad part was the driver who caused us to miss our toucan ranch appointment, but it was not any fault of PTW because he took it upon himself to run a personal errand and surely did not ask PTW if that was ok because I am sure PTW would have said absolutely not. PTW was efficient and very easy to work with. I look forward to booking another trip." "I totally enjoyed everything you selected for us. I have recommended your services to others and will reach out on our net trip to Costa Rica. Pura Vida!!!" "PTW Extremely professional! Will use your services again." "Working with you guys was great. I met some people on my trip who also worked with you guys, specifically Matt C., and we were all really happy with our experience and gushed about it among ourselves. Thanks for everything!" "I have already recommended your service to other busy families. Loved how easy it was to communicate with you and seek solutions whenever we had issues. Overall the mix of rustic and luxury accommodations was good. Logistics were always on-time or early. We never felt like we were waiting around for our next shuttle or transfer. Thank you!" "Doing it again next year. Thank you." "I have recommended you to others interested in traveling to Costa Rica. Heard rave reviews from other travelers we met along the way about your services. Thank you for a great vacation and opportunity to explore your beautiful country. Pura Vida!!" "We were very impressed with the service provided by your organization. We would definitely use your services again and we will be recommending your services to other travellers going to Costa Rica. We do have another couple who have asked us to give them your organizations name when we told them about the great service we received on our trip to Costa Rica. Thank you once again for a great vacation." "Our travel agent Hugo did a fantastic job on helping plan our vacation, your agency is superior"
"Looking back I would like to say that I would have liked to research some alternatives for activities and days in certain places. i.e. I felt two days (three nights in Arenal), ziplining in Arenal would have been a good idea. This review missed the travel to Doka coffee plantation and La Paz waterfalls that we enjoyed too. The guide for this trip was good too. Overall we were have to engage PTW to help organize this trip." "I was extremely satisfied with your company. I would recommended all of my friends and family to go through your company when booking a trip to Costa Rica. Everything was organized and vital information was provided on emails. All of the tour transportation were on time and clean and friendly." "Thank-you for helping us plan our trip to Costa Rica. We had a great time and will not hesitate to contact you in the future. We have already recommended you to others." "This vacation was a very wonderful experience. It was our first time in Costa Rica so that is why we chose to book through a tour company and it was well worth it. All the the people we met from drivers to tour guides and hotel staff were absolutely great. We will definitely go back to Costa Rica to the Arenal area and stay at Los Lagos and then tour other areas of the country.Beautiful country with very friendly people. I would definitely recommend Pacific Trade Winds to anyone I knew wanting to travel to Costa Rica." "This was my best vacation ever! Everything went perfectly! I was able to relax and enjoy everything because PTW had taken care of everything! I can’t wait to return! I wish I could use PTW for all my destinations!" "Loved, loved, loved our tour. No problems. Everything we did was top notch and was an experience that we will never forget. When we left our passports behind your tour company were wonderful and got them to us at our hotel. We would absolutely recommend your services especially for first time visitors of your beautiful country." "Quick reaction time to questions and very knowledgeable on your answers." "Thank you for all the services you had given to me and my wife along with my sister and brother in_law. My in laws had a BAD experience in Mexico and me and my wife were nerviess how this would trip would go They loved the whole trip so did my wife she liked it better then Hawaii. Thank you and yes we plan on returning but with a much large group a family Reunion. "Was given lots of different options to choice from and very willing to change things up to meet our requests - we loved the whole experience and will definitely be going to back to Costa Rica soon." "Thank you for the best trip ever!! Once in a lifetime experience for all of us!" "We would definitely use your company again and will recommend you to our friends. Thanks for a great experience. We also left a 5 star review at Trip Advisor. Please feel free to use us as a reference."